The IoT offers new ways for businesses to create value, however, the continuous connectivity and data sharing also creates different opportunities for information to be conceded. So, explore this article and know some of the more important developments in the battle to fight against cyber risks. What makes the Internet of Things (IoT) different from the traditional Internet? The IoT does not rely on human intervention to function. With the IoT, sensors collect, communicate, analyze, and act on information, offering new ways for technology and businesses to create value—whether that is creating completely new businesses and revenue streams or delivering a more effective experience for consumers. But this also creates new opportunities for all the information to be compromised. Not just the data is being shared through the IoT, but more sensitive data is being shared. As a result, the risks are exponentially greater. 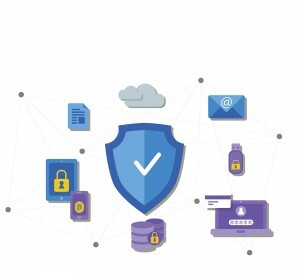 The Open Web Application Security Project’s (OWASP) Internet of Things Top Project aims to educate users on the main aspects of IoT security and help vendors make common appliances and gadgets network- and Internet-accessible. These types of projects are just the foundation of the future security standards that must be developed to create a network of devices that aid users in a secure environment. It seems that proficient hackers are everywhere, and their growing focus on the IoT is a natural progression since they are looking to where the world’s data is flowing. The interconnected world is coming, but so are its hackers. In a few years, there could be a whole new class of things to worry about in the cyber security field. Hopefully, by then the users will have already taken care of the current problems they are facing in the smart IoT. cyber security Internet of Things (IoT) by admin.